Gather all your decor items and place them how you’d like on your long table/bar area. I set mine up as follows: big tin in the back center with the little tins in front. I then place the decorative pumpkins and skulls around those. I finished it off by twining the pumpkin lights throughout the setup. Pop LOTS of popcorn. I like to use lightly buttered popcorn . It should almost overflow the beverage tin. Pour the candy in each tin and place a scoop in each as well. Lay out the goodie bags, turn on the lights, and enjoy your party! There’s a reason why I love the Popcorn Bar set up: it’s fast, easy, and everyone enjoys it! When I put this together I don’t know who loved it more- the kids or the adults. I would love to see how y’all style your popcorn bars! Such a darling, fun and festive idea! I LOVE this idea!!!! So great! 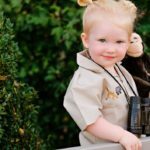 This is soooo fun and such a cute idea! I don’t have kids but I might have to do this just for my husband and I..lol. 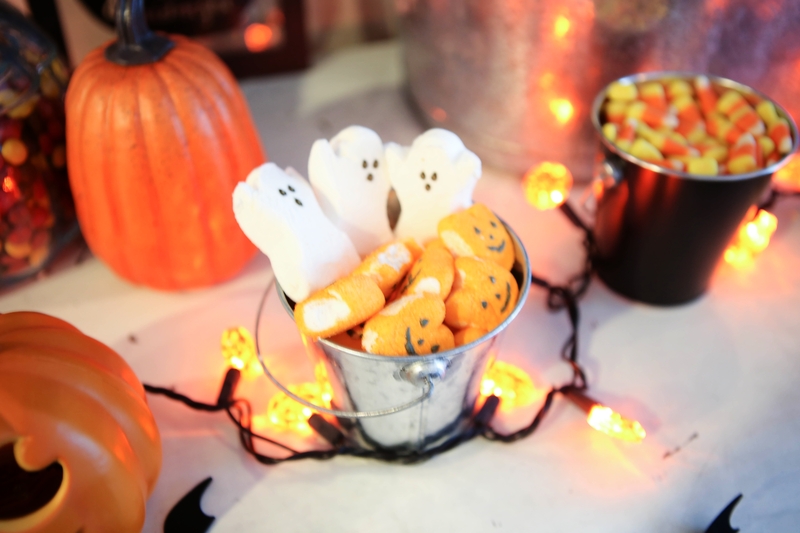 We’ll probably stay home Halloween and carve pumpkins so this would be the perfect snack. 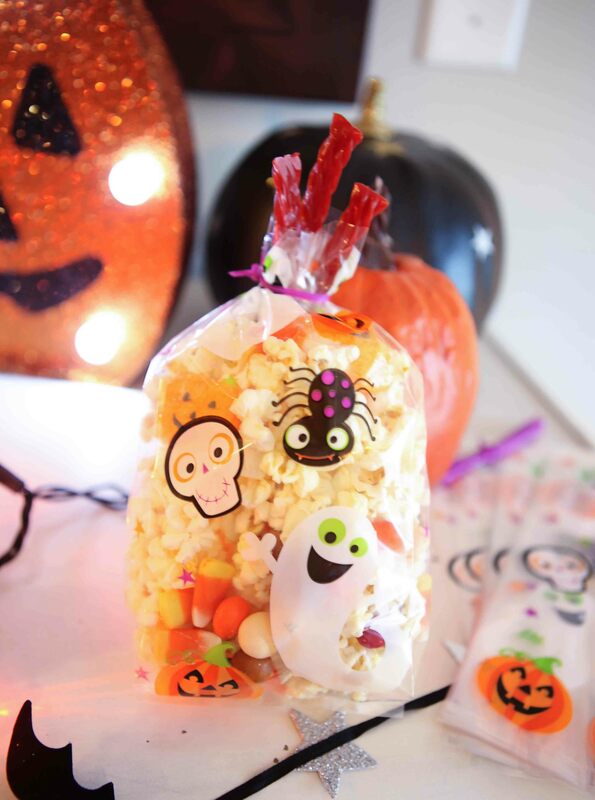 Your Halloween popcorn bar is so cute! You are so creative. My imagination is not this special unfortunately, but maybe I can take some of your ideas. such an awesome idea, i love this! 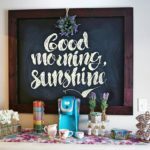 it would be perfect for the party we’re hosting! 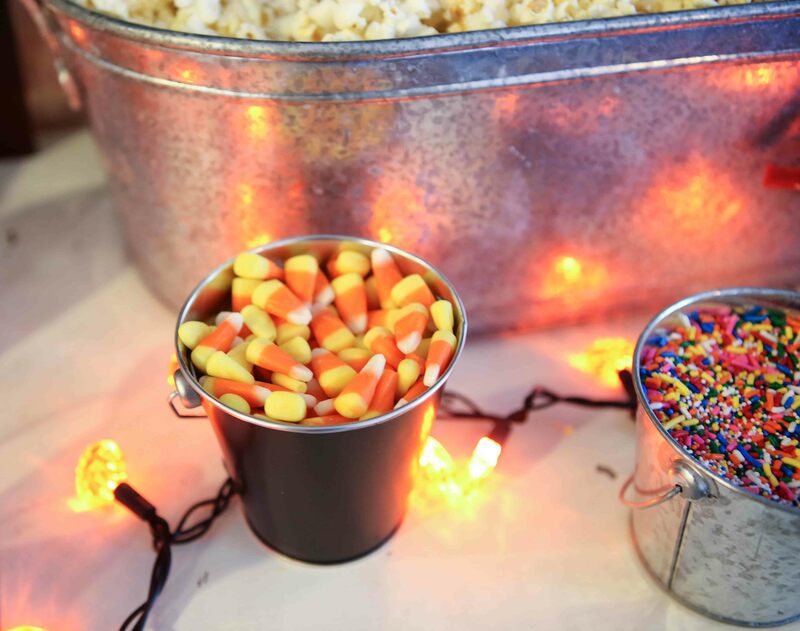 What a fun idea is the popcorn bar! I SO wish we celebrated Halloween the way Americans do, I feel like I’m missing all the fun by living in another hemisphere! 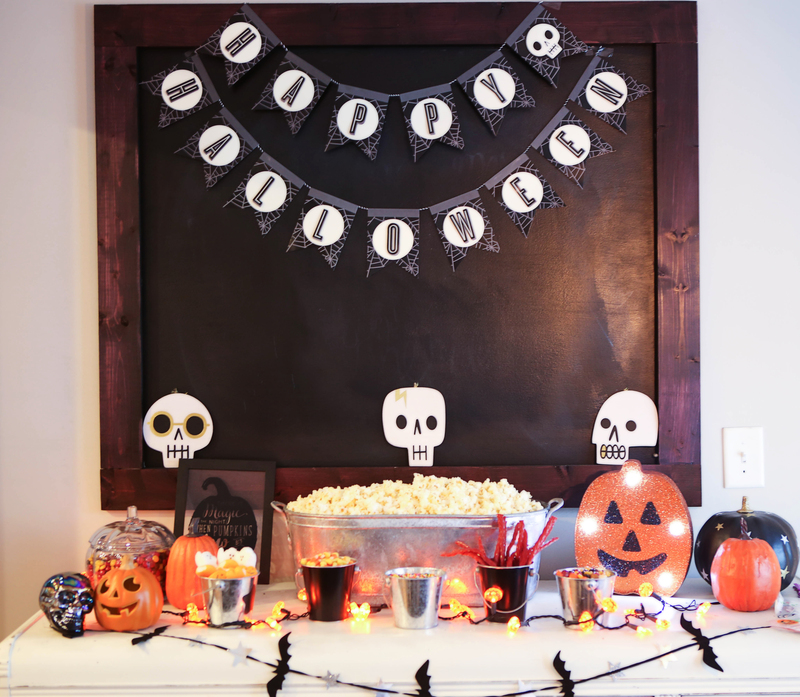 I love the idea of setting up a Halloween popcorn bar especially when you’re hosting a party for the kids! I’m sure it’s going to be a huge hit and they’re going to have so much fun putting their popcorn bags together. I love everything about this. Popcorn, and candy corn together is heaven. This is so cute and adorable. You decorated so nicely. So creative. I wish I had seen this earlier. I would love to have had this out for my movie day. It does look like such a cute layout and the kids would have loved it. The phonographs looks great and it is creative and you arranged it well. I love popcorn and candy corn! This is an amazing table to have for a Halloween party. Love all the decor. 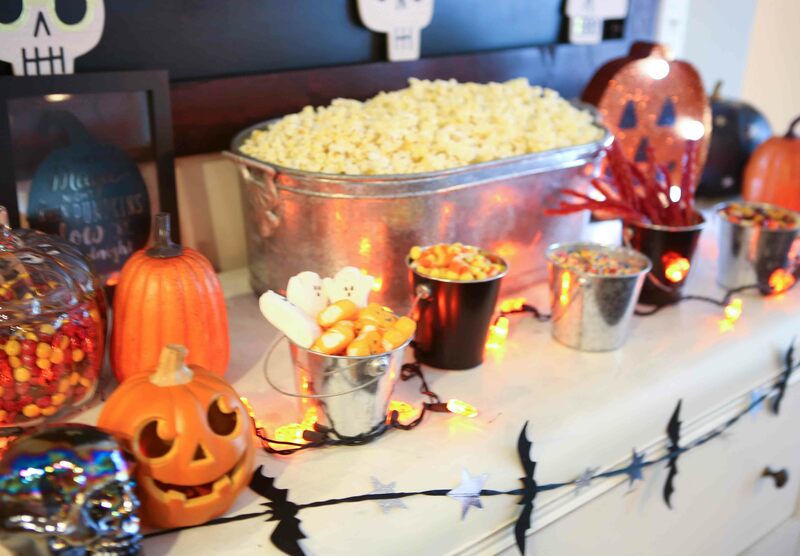 Wow I love the popcorn bar it looks like alot of fun for guests to play around with and enjoy!